There are no major economic reports for EURUSD today. The support rests at 1.17360 with resistance at 1.17690 which the weekly pivot point at 1.17520 is located in between the lines. The EMA of 10 is moving with bullish bias and it is above the EMA of 200 and the EMA of 100. The RSI is moving on the 50 level, the Stochastic is showing downward momentum and the MACD indicator is in neutral territory. The ADX is showing weak buy signals. Since the market is quiet today, EURUSD will be fluctuating within the support and resistance area. 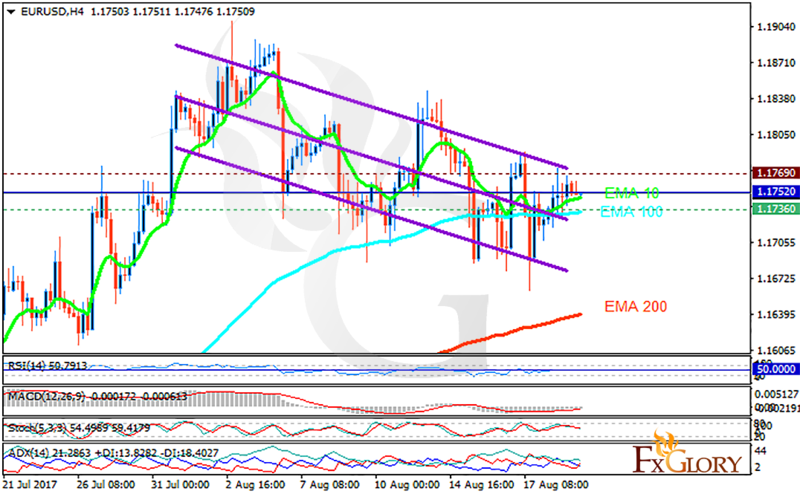 However, the support level breakthrough can drag the pair towards 1.165.